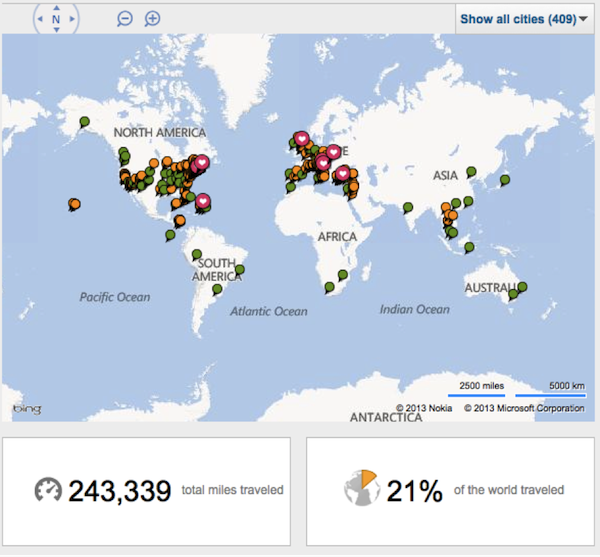 Percent of the world travelled and total distance travelled, viewable on your About Me page, are based on the number of cities you have pinned and the distance from your home location. These statistics are for entertainment value only. The travel map can only display up to 2,000 pins at a time. New cities you add will be counted, but you may not see them on your map.